​Welcome to the feedback page for the alumni of the College! The IQAC at Mar Ivanios College greatly appreciates the support of the alumni of the College. All feedback given through this portal is valued and confidential and will be acted upon with right intent. This page will have different kinds of feedback forms, invitations to which will be sent out throughout the year. If you are an alumni, and visit this site, please check if any of the feedback forms are applicable to you; if they are, we would be most happy to hear from you! As part of a process to get all our old students re-connected with their alma mater, the IQAC, in collaboration with AMICOS (the Association of Mar Ivanios College Old Students), has set up an online feedback form to tell us where you are and how the college impacted you. 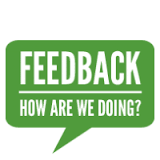 Please click on the image on the left to provide us your feedback. We thank you in advance for your co-operation; your feedback is greatly valued and appreciated.